My hubby is mad about them. Anytime you ask him what does he want to eat, he will say Chhole!!! No, he doesn’t consider the fact that you can’t make them instantly….And he is very particular about the colour of the Chhole!!! 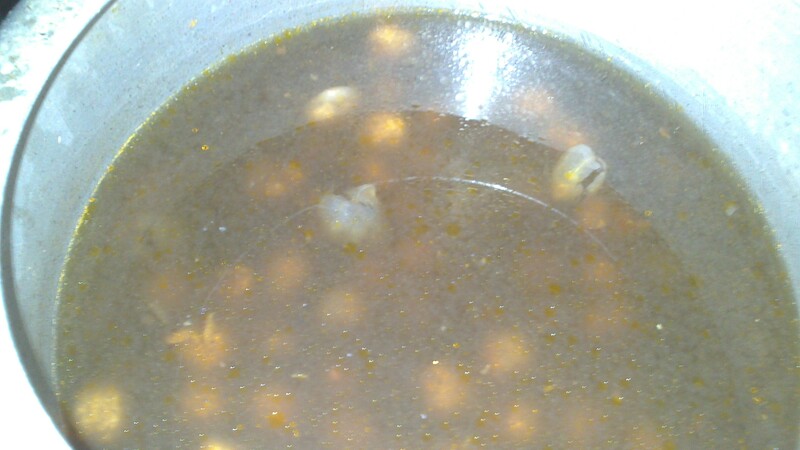 In initial days of marriage i called up MIL and asked her the recipe of chole, she forgot to tell me one ingredient that is used for colour hence i used to produce Choles with different colour and he always used to drive me nuts saying “yeh colour kuch alag hai” 🙄 Finally i called up MIL to complain about her Ladla and his fixation about the colour, it was then she enlightened me about the “secret” ingredient!!! What is that secret ingredient you may ask…well, it is our plain,old, humble Tea water!!!! Once we had a friend visiting us and i made Chhole and he liked them very much, so he asked me the recipe…Before i could answer hubby chipped in by saying it’s the “Tea” that makes all the difference!!! and you should add Tea to chhole to make them tasty!!! Now the friend too got all enthu at finding the secret ingredient and said he will ask his mom to put tea leaves in the Chhole!!!! Finally i had to intervene to tell him that you don’t add tea leaves but the tea water to chhole!!! Imagine, chhole with tea leaves in it!?!?! 2) Once you see the water darkening, drain it using a Channi. 3) Add this water to chhole soaked overnight. If using tea bags then directly add bags to the chhole, add water, salt and pressure cook them till they are cooked. 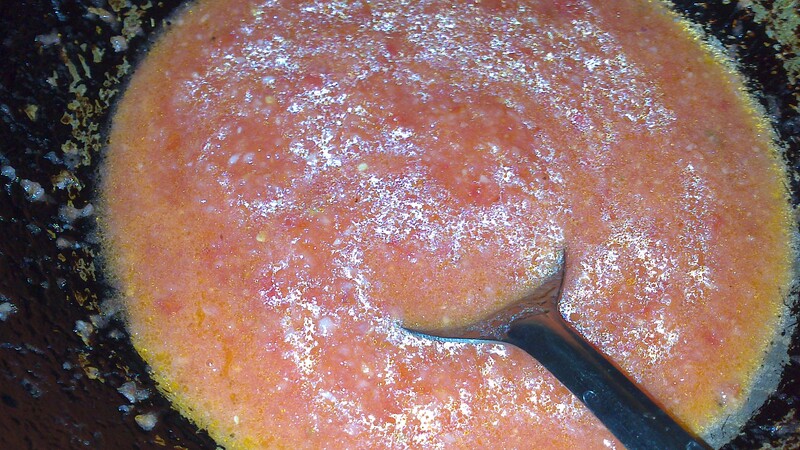 4) Meanwhile, in a mixer add onions and tomatoes and crush them to get a coarse paste, add a little water if needed. I use hand mixy to do this. 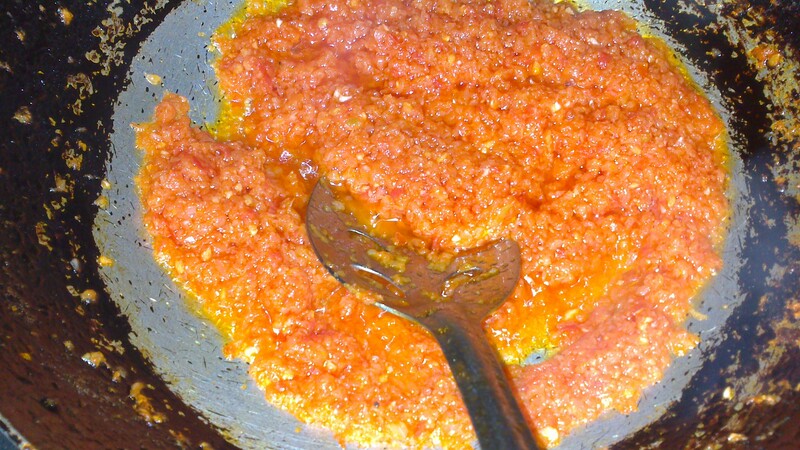 5) In a pan, take oil and add the onion tomato paste and green chili ginger garlic paste. 6) Saute till oil separates on medium flame. May take upto 15-20 mins. 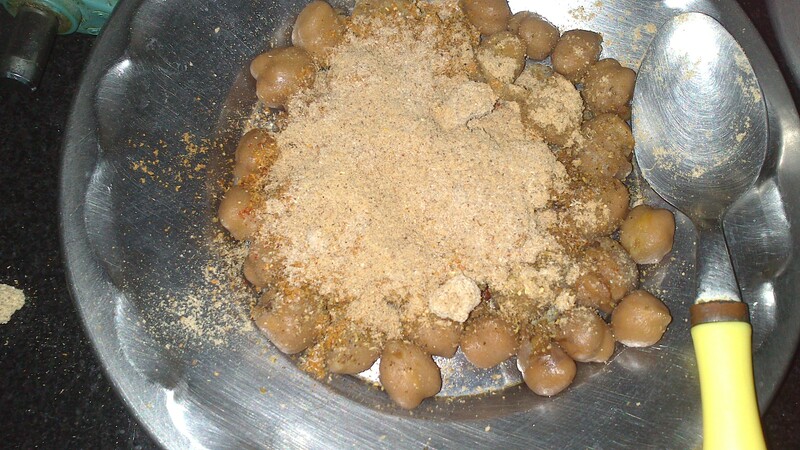 7) Now, take the pressure cooked Chhole in a plate, mash them a little, and add red chili powder, garam masala, chaat masala, chhole masala and aamchur powder to the plate. 10) Mix everything nicely and mash chhole further. Cook on medium flame for 5 minutes or till you see oil separating. 12) Cook on low flame covered for 20-30 minutes. 13) Garnish with finely cut onions and serve with Bhature/Puris/ Parathas/Kulcha. 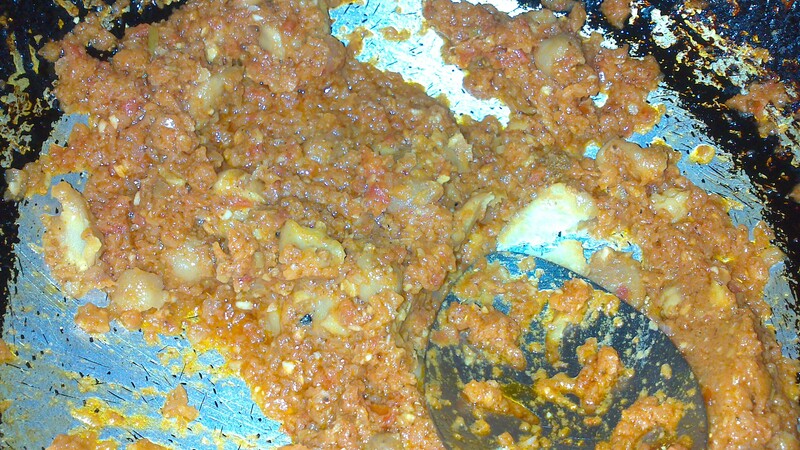 I prefer to add finely cut onions and lemon juice/imli chuntey to it, but hubby prefers it with onions. 1) No, i didn’t forget to add turmeric to the list. If you want the dark colour for your chhole then don’t add turmeric to it. 2) You can skip tea water, it’s basically for colour. 3) If you don’t have aamchur powder then you can use anaar daana powder or even more chaat masala in place of that. Aamchur powder is basically used for adding tangy taste.